Is your dog in the chew toy destruction business? This "Champ of Chomp" was built tough to resist even the toughest chewers, and while your dog goes to town, the ridged texture will clean their teeth and gums. 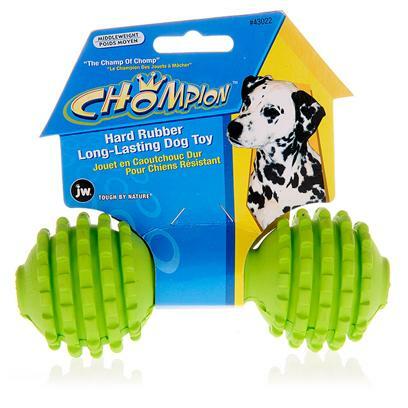 The Chompion is made with durable, bouncy rubber that makes for a long-lasting game of fetch. Do not allow dog to eat.